The county's vacancy rate is 1.7%, less than half of the national average. Rents have increased 3.1% annually in the past decade. Because of an extremely low vacancy rate and new hiring from companies including Keurig Green Mountain, renting an apartment or home in Chittenden County is often competitive. The county’s vacancy rate stood at 1.7% in December, or less than half the national rate of 4.2%. Because of the tight vacancy rate, renters should plan to add extra time in their search for an apartment or home, especially when compared with regions with more available inventory. The pace of hiring by local employers, ranging from technology companies such as Dealer.com to retailers like Trader Joe’s, has brought an influx of new professionals into Chittenden County. Our rental expert has found that about half of relocating professionals opt to rent before seeking a home purchase. Rents are also competitive in Chittenden County, with the average price rising 3.1 percent annually since 2002, according to real estate consulting firm Allen & Brooks. The average rent for a two-bedroom apartment was $1,155 last year. Average wages in Chittenden County haven’t kept pace with the rise in rents, which means that renters are paying a higher share of their income toward housing costs than in many other parts of the country. Almost two-thirds of renters pay more than 30% of their income toward housing expenses. Some less expensive neighborhoods, such as Burlington’s Old North End, are experiencing an increase in demand because of the affordability issues, Allen & Brooks notes. Other renters are seeking smaller apartments in newly constructed apartment buildings, because those studios and one-bedrooms may be more affordable than larger apartments in older homes. Because our rental expert has extensive contacts with landlords, Realtors and associations, Coldwell Banker Hickok & Boardman Realty is well positioned to help clients navigate the rental market. While demand for multi-family properties remains strong, the first quarter saw some challenges, including tight inventory and an extremely cold weather in February, which may have kept some buyers on the sidelines. Nevertheless, our agents are witnessing multiple offers on properties that are well priced and in attractive locations. Within Chittenden County’s multi-family market, Coldwell Banker Hickok & Boardman Realty was involved in more than one-half of all sales by units, outpacing all other real estate offices in the county and placing our Agency almost 30 percentage points ahead of our closest competitor. Because of our strength, our agents have an unparalleled understanding of the trends within the multi-family market. Northwest Vermont’s low vacancy rates, as well as a diverse and growing professional base, continue to create an attractive market for investors and owner occupants of duplexes and three- and four-apartment buildings. The apartment vacancy rate for Chittenden County stood at 1.7% in December, the most recent data available, according to real estate consulting firm Allen & Brooks. By comparison, the U.S. vacancy rate for apartments was 4.1% in the first quarter. The recession and successive years of weak economic growth dampened the ability of some residents to acquire their own homes, which has driven up demand for rental apartments within the region. Monthly rents are also relatively high, with rent for the average two bedroom apartment standing at almost $1200 in 2013, which is also attractive to investors. A lack of multi-family inventory may continue to be an issue in the market, especially as newly listed properties declined 6.7% during the first quarter. Our agents are noting that more multi-family properties are being listed as the weather improves, however. Demand for rental properties is also getting a lift from hiring by local employers, such as Dealer.com and Trader Joe’s, the grocery store that last year opened a South Burlington location. Many young professionals are continuing to rent because of the advantages of apartment living, such as having services such as lawn care arranged by the property manager, Allen & Brooks notes. Some young professionals are also burdened with high student debt, which has been dampening their ability to save for a down payment. With economists at the Vermont Economic Outlook Conference predicting that 1,500 new jobs may be created in the state this year, as well as a continued improvement in the unemployment rate, our region may see an increase in demand for rental properties. Five of the nine $1,000,000+ home sales were waterfront properties. Seven of the past year's nine luxury sales were located in Chittenden County. Northwest Vermont’s lakefront properties and country estates maintain a strong pull on high-end buyers, although this year’s below-normal winter temperatures may have slowed down some prospective buyers. With Vermont finally experiencing spring, our agents are seeing some signs of renewed activity. Both primary residences and vacation homes are popular with buyers seeking $1 million-plus properties. During the past 12 months, nine $1 million-plus home sales were recorded. Two $1 million-plus sales were recorded in the first quarter, with both sales closing in March. The remaining seven luxury sales closed in the summer or fall of 2014. Five of those properties included lakefront access, which is a traditional attraction for high-end buyers searching for homes in Northwest Vermont. The most expensive property was a $1.35 million estate in South Hero, located on 13 acres with 350 feet of shore access. Seven of the past year’s luxury sales were located in Chittenden County, while one was recorded in Addison County’s Ferrisburgh. Grand Isle’s South Hero had one luxury sale, as noted above. The most recent high point for the luxury market, in terms of number of sold properties, was in 2012, when 16 homes sold for more than $1 million. The past two years have witnessed a slower pace of luxury sales, with sellers readjusting their expectations. At the end of March, there were 58 residential properties priced over $1,000,000 on the market in Chittenden, Addison, Franklin, and Grand Isle counties with 3 properties under contract. The inventory will increase over the spring and summer months. At this pace, it could take two years or more for the inventory to be absorbed by the market. With a wide inventory available in the luxury market, many $1 million-plus homes require additional time to market than do mid-range homes. Current luxury inventory has been on the market for an average of is 338 days. Competitively priced properties may sell more quickly. After a strong fourth quarter, property sales in Addison County continued with strong momentum in early 2015. An improving economy and declining gas prices helped bring buyers back into the market late last year. Our Realtors are noting pent-up demand for properties in good condition and locations, with those homes going under deposit quickly. Those trends helped boost the number of transactions by 36.6% during the first quarter, while the median sale price rose 18.1 percent. 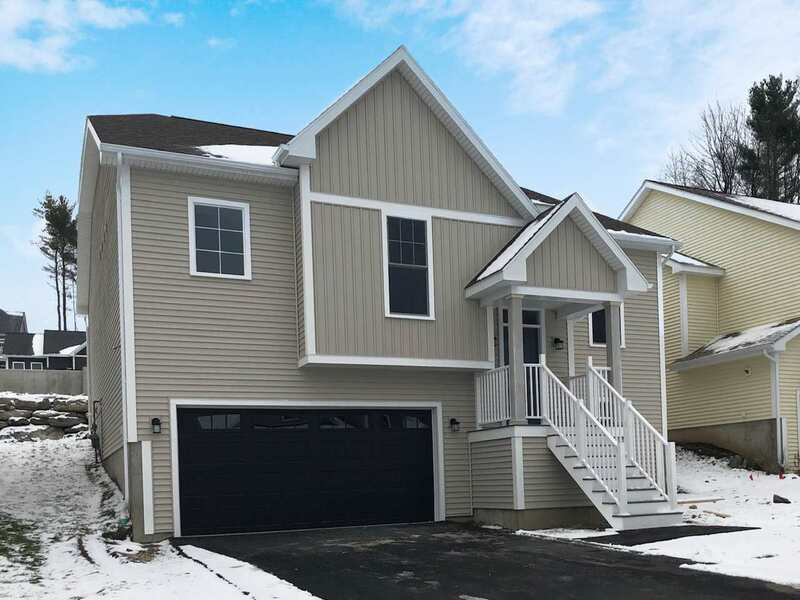 Local homebuyers who work for employers such as Middlebury College and Goodrich Aerospace are searching for homes in towns such as Middlebury and Vergennes. Middlebury remains the county’s most active town for home sales. Transactions there dipped slightly in the first quarter, with the town reporting 13 sales compared with 15 a year earlier. The median sale price slipped 3.6 percent. A few smaller markets saw strong growth in median sale pricing, although their smaller number of transactions means one or two sales can have a larger impact on overall trends. Ferrisburgh, for one, saw its median sale price jump by almost one-third, although that was based on just five property sales. Addison County remains popular with high-end buyers seeking lakefront luxury property. Although only one luxury sale was recorded in the previous 12 months – a $1.29 million home in Ferrisburgh – our agents note that two high-end properties have recently gone under deposit. The county recorded 6 land sales during the first quarter, little changed from the 7 recorded a year earlier. The median sale price rose by less than 1 percent, to $75,250. Some retirees and homebuyers have been seeking land purchases in the county in order to custom-build homes. With below-normal temperatures hitting Vermont this winter, home buying activity in Grand Isle slowed to below typical levels. Sales of luxury homes also slowed to a standstill, given that most high-end buyers prefer to look at the county’s waterfront properties in balmier weather. That shifted the mix of home sales to lower-priced singlefamily homes, which comprise the bulk of the county’s residential market. The median sale price for residential properties slipped 41.2% in the first three months of the year, although that includes one low-priced mobile home sale. Excluding that transaction, single-family homes saw their median sale price slip 25.3% to $183,000. Because Grand Isle is the smallest real estate market by volume in Northwest Vermont, a shift in only a few transactions can have a large impact in overall sales and pricing trends. The county has recorded two land sales in the first quarter, or little changed from the three land sales recorded a year earlier. The median sale price slipped 61% to $50,000. After a slower fourth quarter, home sales in Franklin County rebounded in the first quarter, helped by demand from first-time buyers seeking property in towns located near 1-89. Nevertheless, demand and pricing was bifurcated between the eastern and western sides of Franklin County, with our agents noting that property in eastern towns, farther away from 1-89, are taking longer to sell and at lower prices than on the western side of the county. Across the county, median pricing slipped 3% to $179,500. Lower gas prices have helped encourage buyers to look for property in the county, which serves as a commuting hub for professionals with jobs in Chittenden County. With the question over the future of IBM’s former chip plant resolved, that’s also unleashed some pent-up demand for property in Franklin County. On top of those trends, some buyers are looking for homes in Franklin County because of its lower price point when compared with Chittenden County, where the median home price stands at almost $255,000. For buyers looking for sub-$200,000 properties, Franklin County may offer more value and bigger land parcels, our agents note. Towns such as St. Albans City, St. Albans Town, Georgia and Fairfax – all close to 1-89 – recorded the largest number of transactions. St. Albans City recent downtown renovation is also attracting buyers to the town, while employers such as pharmaceutical company Mylan are hiring, adding to demand for housing. Home sellers required 144 days to market their properties, slightly more than 122 days required a year earlier. This period also reflects fthe irst quarter which includes the winter selling season. About 93 percent of the county’s residential market is represented by single-family homes, where the median sale price dipped 2.1 percent. The median sale price for condominiums rose 1.1%. With the abnormally low winter temperatures during the first quarter, land sales fell 70% to only three transactions. The median sale price for land parcels rose 3.1% to $66,000. Investors continue to look to Franklin County for multifamily homes, especially given the competitive market for duplexes and three- and four-apartment homes in Chittenden County. Six multi-family homes sold during the first quarter, unchanged from the year-earlier period. The median sale price rose 85.2% to $306,000. After ending 2014 on a strong note, Chittenden County’s residential sales market continued to see increased buyer demand in the first three months of 2015. Sales of residential properties rose 12.1% during the first quarter, buoyed by demand in Burlington and Essex. Even though buyers closed on more homes than the first quarter of 2014, our agents report that some potential homebuyers and home-sellers delayed looking or listing their properties this winter, given the below-normal temperatures that put a damper on home sales across New England. The National Association of Realtors found that sales of existing homes declined 6.5% in the Northeast, largely because the month’s freezing temperatures kept would-be buyers inside. The tough winter weather appears to have only delayed buyers’ interest, as well as the desire for homeowners to list their properties. With the state finally experiencing warmer weather, our agents are reporting a surge in property listings, as well as renewed interest from buyers. Professionals are relocating to Chittenden County for job opportunities with employers such as Dealer. com and the University of Vermont Medical Center, while younger workers and renters are increasingly considering purchasing their own homes, helping to lift demand for residential property. With a wide range of property types and towns in the county, there are a myriad of options and price points, from Burlington based condominiums, new build in South Burlington to luxury property along Lake Champlain. While prices rose, the number of transactions slipped, with residential sales declining 4.3%. Our Realtors are finding that homes in the $250,000 to $350,000 price range remain in demand, but inventory in that segment is often tight. At the same time, there is a lot of available inventory above $500,000, allowing buyers in that segment to be more selective. The economic outlook for Vermont this year remains positive, with economists at the Vermont Economic Outlook Conference predicting the state’s unemployment rate could decline to 3.5% by year-end, with corporations adding 1,500 private-sector jobs. Some towns are already experiencing a lift thanks to local employers, such as Essex, where the overhang about the future of IBM’s chip plant in Essex Junction resolved last year when new owner GlobalFoundries vowed to keep jobs intact. Despite the jump in transactions, median pricing across the county rose slightly, by 0.8%. Chittenden County ranked as the most expensive residential market among the four counties tracked by the Coldwell Banker Hickok & Boardman Realty Northwest Vermont Market Report. Inventory has been tight in the $250,000 to $350,000 price range, which is the sweet spot for first-time homebuyers. Even though employers are adding jobs and the unemployment rate remains low, Vermont’s per-capita personal income has been relatively stagnant compared with New England as a whole, which raises affordable issues for some homebuyers. Property taxes have continued to rise, adding to concern about the cost of housing in Vermont. Several towns saw an increase in buyer demand in the first quarter. Aside from Essex and Burlington, Colchester and Winooski also recorded significant jumps in sales, at 51.7% and 25%, respectively. The 23.3% increase in median sale price in South Burlington may be attributed to the success of South Village. Even though Burlington remains a desirable location, its more expensive housing stock is prompting some buyers to search for homes in less expensive municipalities, such as Winooski. The median sale price in Burlington slipped 13% in the first quarter as buyers may have been searching for lowerpriced housing. Inventory continues to be tight in Burlington, although our agents are seeing more homes come on the market, which may help meet buyer demand. New listings in the city rose 20.8% in the quarter, signaling that more owners have confidence to move forward with their plans. Healthy discussions surrounding affordablity challenges in Burlington are taking place with the proposed Housing Action Plan and the recent announcement of the redevelopment of the Burlington Town Center. Initial proposals include retail, office, and housing. The multi-family market recorded 20 sales in the first quarter, or 16.7% below the year-earlier quarter. A lack of inventory continues to be an issue for investors, who are attracted by Chittenden County’s low vacancy rates and relatively high rents. Our agents are finding that wellpriced duplexes and three- and four-apartment buildings in good locations are fielding multiple offers. Still, tight inventory will continue to be an issue for this segment, given that new listings slipped 6.7% in the first quarter. Because of the wide range of pricing and demand characteristics across Chittenden County, it’s important that homebuyers and sellers consult a knowledgeable Realtor. Across the county, Coldwell Banker Hickok & Boardman Realty is involved in more than one-fifth of all real estate transactions by unit sales, more than any other competing agency. After a strong fourth quarter, the first quarter of 2015 was hit by headwinds, thanks to abnormally cold winter weather that delayed some homebuyers from looking and some would-be sellers from listing their properties. With spring arriving, our agents are seeing pent-up demand from buyers, as well as a surge in new listings from sellers. Despite the tough winter weather, sales of residential properties rose in every county except for Grand Isle. Across the four counties tracked in this report, the median sales price slipped 1.8%. Coming on the heels of a strong fourth quarter, homebuyers continued to snap up properties during the first three months of 2015. The number of residential property sales rose 12.1%. Pricing gains were muted, with a gain of only 0.8%, as affordable housing continues to be a challenge, especially in Burlington, pushing homebuyers to lower-priced inventory. The year started off strongly for Franklin County, with sales volume rising 11.1%. Because property sells at lower price points than in neighboring Chittenden County, some first-time buyers are opting to search for homes in Franklin County. It’s also become more economical for commuters to consider property in the county, given the trend toward lower gas prices. Median pricing slipped 3% to $179,500. Sales volume in Grand Isle was little changed, with 16 sales during the first three months compared with 17 a year earlier. Still, median sales pricing slumped 41.2% during the first quarter, as buyers searched for lower-priced homes. It’s important to note that as Grand Isle is Northwest Vermont’s least active county for real estate transactions, a small number of sales can have a relatively large impact on pricing trends. Addison County witnessed a strong first quarter, following a boost in sales at the end of 2014. That lifted property transactions by 36.6% during the first three months of 2015. Our agents noticed pent-up demand for properties in good conditions and locations, which helped boost the median sales price by 18.1%. Offers 1,898 sq. ft featuring 3 beds and 2 baths + flex room! Comfortably sized with open floor plan! Great new neighborhood.